Quick Recap: A series of immersive events to promote the emerging contemporary streetwear label Control Sector. 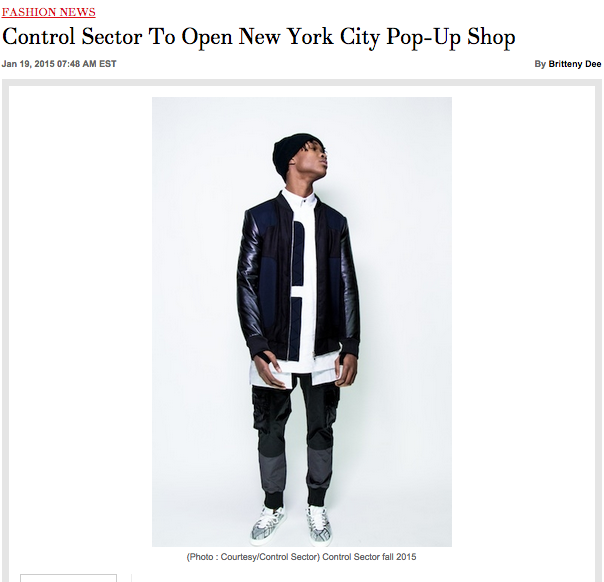 This was strategically aligned to lead up to Control Sector’s New York Fashion Week Runway Presentation for Fall/Winter 2015 “Portable Empire” collection. Client Objective: To explore the cross section where technology, fashion, and interactive marketing combine. The result was to produce unique interactive runway presentation in the premier Bowery art space in NoHo to showcase last season. Differentiating Factors: Identified a unique art space with adjacent storefront to host a multi-day popup retail space and runway presentation all in one location. All proceeds benefited the Jam Master Jay Foundation for Music, providing a conscious shopping experience. Our PR support amplified brand awareness amongst national press outlets such as Fashion Times and Racked NY.